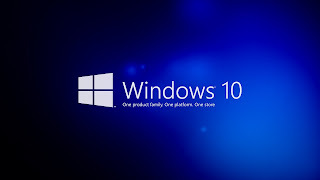 In this post you will learn how to factory reset windows 10. Sometimes we see some problems in our operating system and we fail to recognise the reason of the problem. In this case, factory reset may help you. Go to "start" menu then find "settings". If you find any problem in fetching "settings" then just type "settings" in search box. Now open the "settings" and click on "update and security" icon. Select "recovery" option. Now, you will get two choices : "reset this PC " and "advanced start-up". You have to click on "get started " situated under "reset this PC ". A new window will open with two options : "keep my files" and "remove everything" .Let's describe both options one by one. This option will enable you to keep your files and folders intact while removing apps and settings. If you will choose this option your system will save a list of apps and programs removed during reset process on your desktop. Now click on " next " you will have to accept a confirmation. Click on "reset". Now you have to wait until reset process completes. If you have already taken back up of your important files and folders then this option is for you. Because this option may remove everything from your PC. After clicking on "remove everything" , you will get two choices : "just remove my files " and " remove files and clean the drive". First option is for those who want to use the PC after reset and second option is for those who want to handover his PC to some other persons. By opting second option it will be very difficult to recover your deleted files by any source. After choosing the desired option you will have to accept a confirmation. Now your PC will start reset. You have to wait for several minutes to reset your PC. In this way, you can factory reset windows 10. Everyone loves what you guys are usually up too. This type of clever work and exposure! Keep up the good work guys I've added you guys to my personal blogroll. Find out this here: Learn How To Password Protect Folder From The Movies.